Truck accidents are often caused by cargo that is incorrectly secured to or in the vehicle. When cargo is not properly secured, it can become loose when the truck is on the road. Federal law mandates that the trucking company secures cargo before the trucker begins driving, but ultimately, it is the drivers responsibility for ensuring that the load is properly secured before getting on the road. Incorrectly secured cargo accidents are not uncommon. If you or a loved one has been involved in a collision that was caused by cargo that was improperly or inadequately secured, you may be entitled to file a lawsuit to recover damages from the crash. You may be able to receive compensation for current and future medical bills, lost wages, pain and suffering and other losses related to the wreck. 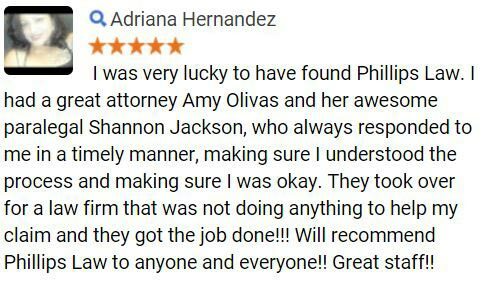 To begin exploring your legal options, contact the truck accident attorneys at Phillips Law Group today by completing the Free Case Review form to the right. There are specific requirements that are federally mandated by the government for securing the cargo that is hauled by large commercial vehicles. The regulations require the use of cargo securement systems that are capable of withstanding minimum forces. Additionally, there are requirements for specific types of cargo, such as metal coils, concrete pipes and heavy machinery. In the United States, the Federal Motor Carrier Safety Administration (FMSCA) regulates the proper cargo loading practices for commercial trucks. The General Cargo Securement Requirements outline specific details for what is required of truckers and trucking companies across the country. Section 2.1.2 of The General Cargo Securement Requirements states that the securement system chosen must be appropriate for the cargos size, shape, strength and characteristics. This means that the truck in addition to any security measures must have the capacity and strength to carry the freight without any issues. Federal regulations are imposed on large commercial vehicles in order to protect drivers and to keep other motorists who share the road with trucks safe. When cargo is not properly secured, loads can shift, causing the driver to lose control of their vehicle and possibly overturn. If you were involved in a Phoenix truck accident, it is important that you seek legal guidance right away so the cause of the crash may have been incorrectly secured cargo. 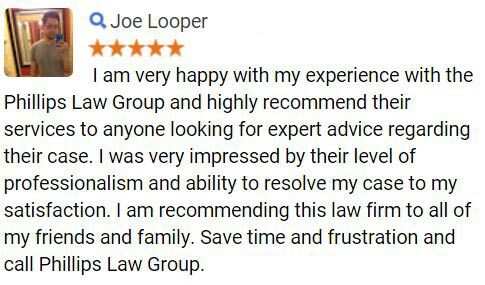 To begin exploring your legal options, we encourage you to contact our attorneys by completing the Free Case Review form on this page. Truck drivers and trucking companies must follow rules and regulations in regards to the stacking, loading, balancing and tying down of freight within the truck load. Unfortunately, many drivers and the companies they work for fail to adequately secure cargo in the vehicle. Often, they are in a rush to meet unrealistic deadlines, causing them to rush in the preparation of their vehicle. Incorrectly secured cargo has the potential to cause serious injuries to all parties involved in an accident. It is important for Arizona motorists to be aware of the severe hazards involved when following behind a truck. If possible, drivers should keep a substantial distance between their vehicle and the rear of a truck. 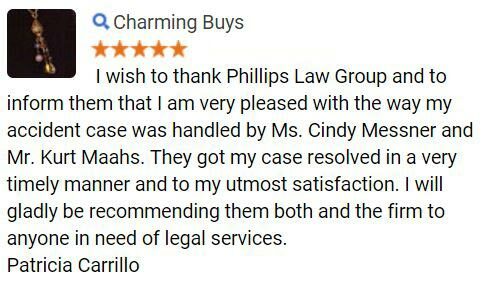 At Phillips Law Group, our truck accident lawyers understand the intricacies involved in litigating an accident claim when a large commercial vehicle is involved. Our staff has the expertise and resources available in order to hold the at-fault parties accountable for any damages that can result from an accident. Oftentimes, there are many different individuals and entities that could be to blame for the accident. In order to recover fair compensation, an injury victim must be able to prove, with the help of an attorney, that he or she was not to blame for the collision. With an office in Phoenix, we are dedicated to fighting for the rights of Arizona residents who have suffered harm at the hands of another, whether through negligence or malicious intent. To make sure that our clients are able to afford proper representation in their pursuit for justice, our personal injury law firm operates on a contingency fee basis. 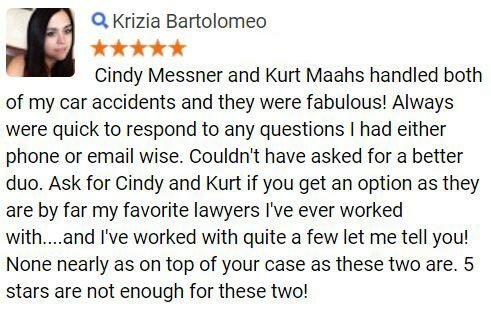 This means that if you choose to hire our lawyers, there is never any cost to you until we are able to successfully obtain a favorable outcome for your claim. If we fail to do this, you do not owe us any fees. For more information on the legal rights which may be available to Arizona incorrectly secured cargo truck accident victims and their families or to schedule a confidential, no-obligation case evaluation with a member of our team of legal professionals, contact Phillips Law Group today by completing the Free Case Review form to the right of this page.